University of Toronto Press, 9781442644700, 327pp. 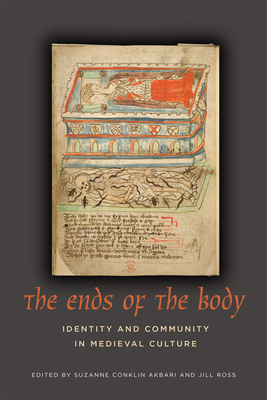 Drawing on Arabic, English, French, Irish, Latin and Spanish sources, the essays share a focus on the body's productive capacity - whether expressed through the flesh's materiality, or through its role in performing meaning. The collection is divided into four clusters. 'Foundations' traces the use of physical remnants of the body in the form of relics or memorial monuments that replicate the form of the body as foundational in communal structures; 'Performing the Body' focuses on the ways in which the individual body functions as the medium through which the social body is maintained; 'Bodily Rhetoric' explores the poetic linkage of body and meaning; and 'Material Bodies' engages with the processes of corporeal being, ranging from the energetic flow of humoural liquids to the decay of the flesh.